Green Tea Information Guide - 7 Popular Myths Debunked! Important green tea information you should know about. Is it healthier than black tea? Can it help lose weight? Many Western experts attribute the discovery of Chinese tea to Emperor Shen Nong 5,000 years ago. According to an ancient lore, he was boiling water one day when wild tea leaves fell into his pot, leading to the discovery. Often misunderstood, Shen Nong is not a typical Chinese emperor. He was said to have a transparent body that allowed him to observe the pathway each herb took. Nevertheless, Chinese tea did exist a long time ago. Reliable records alluded to the existence of tea 2,000 years ago. Emperor Shen Nong - Did He Discover Tea 5,000 Year Ago? What is the difference between black and white pepper? When you remove the outer fruit from black pepper, the inner seed is white pepper. The same for green olives and black olives. Green olive ripen and becomes black olive. The same applies to tea. 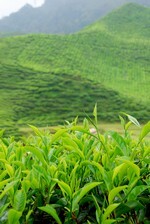 Green, oolong and black tea all come from one tea plant: Camellia sinensis. They are just processed differently. This doesn't mean all tea plants are the same. Tea is an out breeder. It has been cultivated and selected by men for thousands of years. Different cultivars are suited for making different types of teas. Many experts claim that green tea offers more antioxidant protection than black tea because it is unoxidised, and so retains more health benefits. The scientific debate is far from settled. Scientists Leung and Luczaj found that oxidisation merely modifies the type of flavonoids present. The antioxidant content and activities remain unchanged for both teas. In the victro study conducted by Paquay, black tea fights certain free radicals, oxygen and nitrogen better than green tea. Another study conducted by Sarkar found that green tea and black tea were equally able to protect against nitric oxide toxicity. Based on a summary including epidemiological studies with more than 200 cases we concluded that there is stronger evidence for the chemopreventive potential of green tea in Asian countries, whereas studies of the chemopreventive effect of black tea in smaller quantities are less convincing. 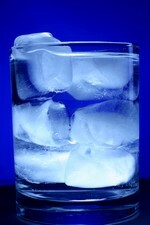 Many people believe that tea dehydrates. A 2006 UK study dispelled this myth. "Drinking tea is actually better for you than drinking water. Water is essentially replacing fluid. Tea replaces fluids and contains antioxidants so it's got two things going for it", said Dr. Ruxton. "Studies on caffeine have found very high doses dehydrate and everyone assumes that caffeine-containing beverages dehydrate. But even if you had a really, really strong cup of tea or coffee, which is quite hard to make, you would still have a net gain of fluid." Green Tea and Dehydration - Better Than Water? A 1999 study conducted Dr. Dulloo at the University of Geneva found that green tea boosted energy expenditure by 4%. If you burn 2,000 calorie a day, this translates to 80 calories, roughly the same amount of calories in a small banana. So if you expect green tea to work its magic, you would be disappointed. Can drinking green tea help you lose weight? The answer is yes, and here is how. Take any healthy food excessively, it is likely to turn into a poison. The same applies to green tea. Many population studies documenting its health benefits are based in Asia, where people typically drink 3 cups a day. Studies conducted by Imai suggest drinking as many as 10 cups. Hence most experts recommend drinking between 3 to 10 cups a day. Learn why drinking too much green tea can he harmful. 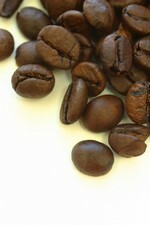 You can't tell how much caffeine a tea contains from its color. The finest Japanese green tea - Gyokuro - contains more caffeine than the black Lapsang Souchong. High grade green tea is made from buds and young leaves. The younger the leaf, the more caffeine it contains. It is no coincidence that the finest green tea from China (Longjing or Dragon Well) and Japan (Gyokuro) have higher caffeine levels. Black tea is made from larger, more matured leaves. This means that a top grade loose green tea can have as much, and sometimes more, caffeine than black tea. Susanne M. Henning, ‌Claudia Fajardo-Lira‌, Hyun W. Lee, ‌Arthur A. Youssefian, ‌Vay L. W. Go, ‌David Heber (2003). Catechin Content of 18 Teas and a Green Tea Extract Supplement Correlates With the Antioxidant Capacity. Nutrition and Cancer, 2003, Vol. 45, No. 2, Pages 226-235. Dulloo AG, Duret C, Rohrer D, Girardier L, Mensi N, Fathi M, Chantre P, Vandermander. Efficacy of a green tea extract rich in catechin polyphenols and caffeine in increasing 24-h energy expenditure and fat oxidation in humans. The American journal of clinical nutrition. 1999 Dec;70(6):1040-5.